Happy Easter from LCDH St. Kitts! Happy Easter from LCDH St. Kitts!! We would like to wish all of our loyal customers a very Happy Easter ! From today until April 4th we are running our Easter Sale, check out a selection of some fantastic Cuban cigars at great deals. Click the button below to see the Easter Specials…. 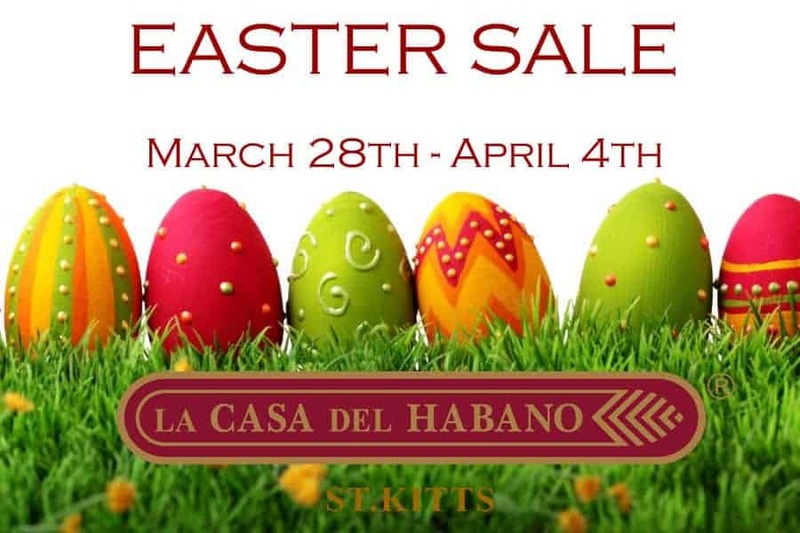 https://www.lacasadelhabano.kn/wp-content/uploads/2018/03/easter-lcdh.jpg 600 900 LCDH St. Kitts https://lacasadelhabano.kn/wp-content/uploads/2016/03/lacasa-300x80.png LCDH St. Kitts2018-03-29 05:53:022018-04-28 08:55:23Happy Easter from LCDH St. Kitts!